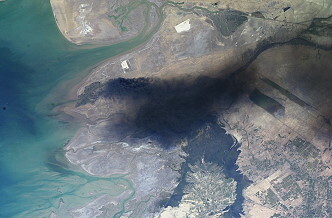 Launch from the Baikonur Cosmodrome; landing 60 km northeast of Arkalyk. 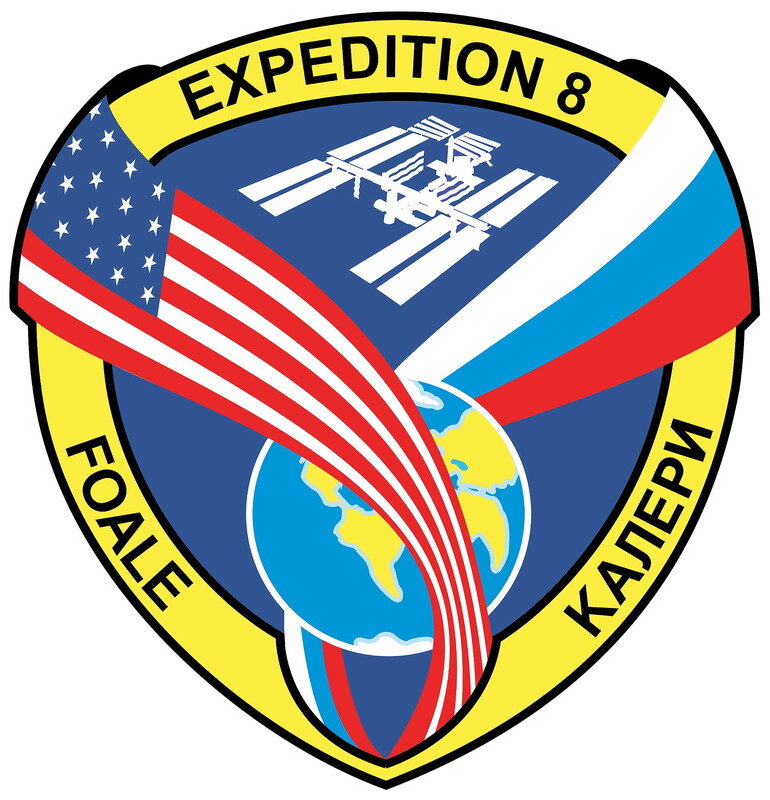 The Expedition 8 officially began with undocking of Russian spacecraft Soyuz TMA-2 on October 27, 2003 at 23:17:09 UTC and Expedition 7 ended. 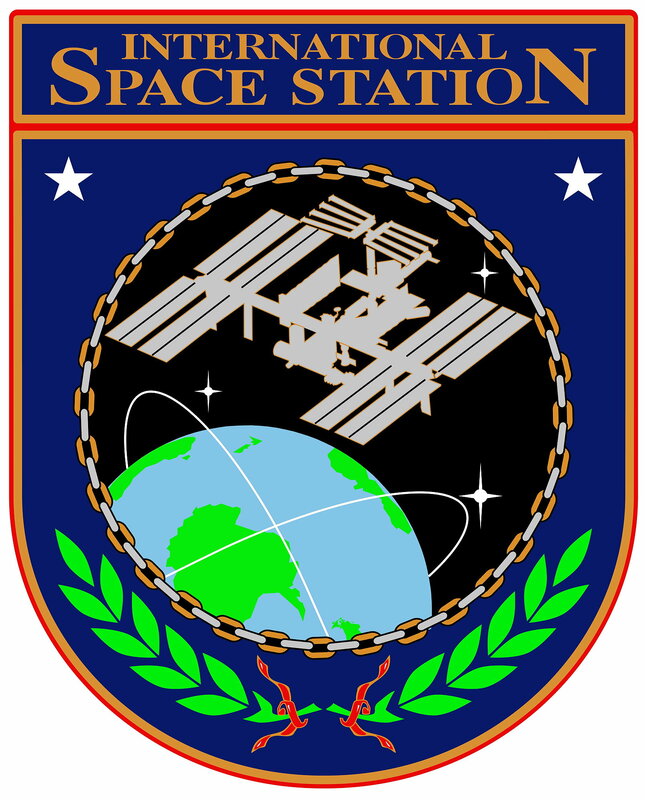 The ISS Expedition 8 was called a "caretaker" crew. 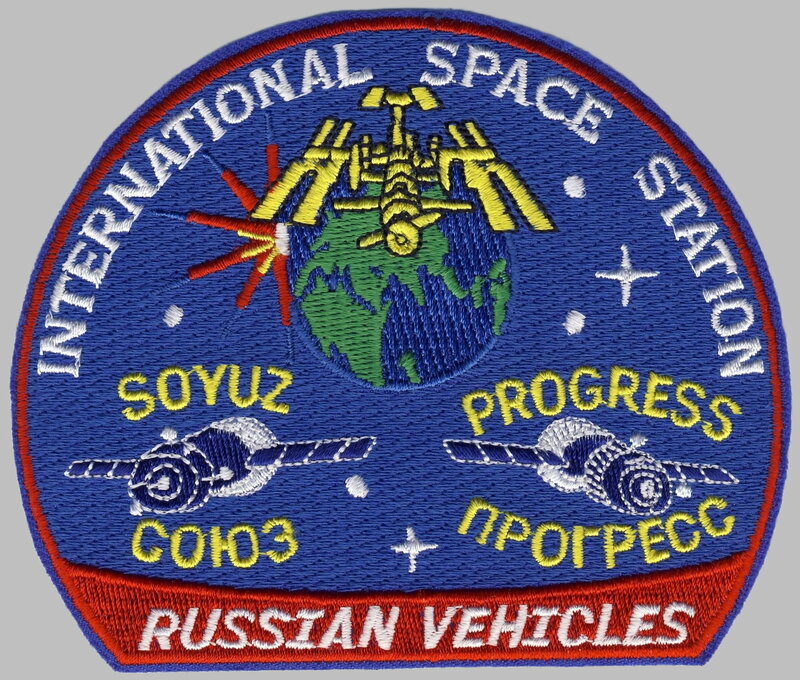 Following a two day solo flight Soyuz TMA-3 docked to ISS on October 20, 2003. Michael Foale and Aleksandr Kaleri replaced the Expedition 7 crew. 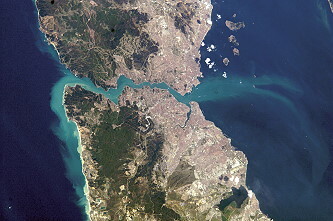 Pedro Duque performed some ESA sponsored science experiments under the mission name Cervantes and then returned with the ISS-7 crew on Soyuz TMA-2. 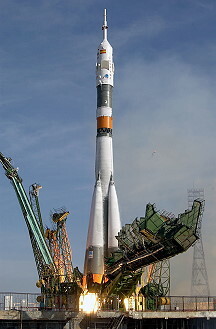 Progress M1-11 was launched at 11:58:08 UTC on January 29, 2004. 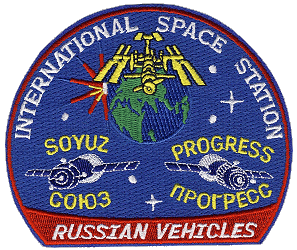 The spacecraft docked with the Aft port of the Zvezda module at 13:13:11 UTC on January 31, 2004. Progress M1-11 carried supplies to the International Space Station, including food, water and oxygen for the crew and equipment for conducting scientific research. 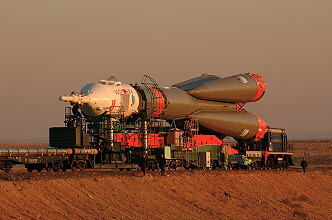 Its cargo included an Orlan spacesuit, a replacement flex hose for the Destiny module, a new Elektron oxygen generator with spare parts for the Elektrons already aboard the ISS, some oxygen generator candles, spare batteries, new fire detection and suppression systems, a gas analysis system, cameras, data cassettes, and an external experiment package for the Zvezda module, Matryoshka. 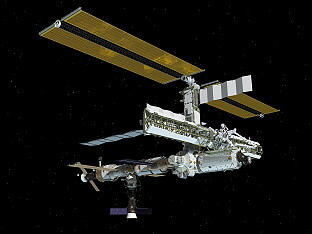 It was also used to perform a reboost maneuver shortly before its departure from the ISS. 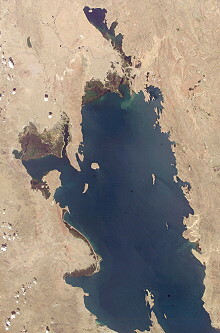 It remained docked for four months before undocking at 09:19:29 UTC on May 24, 2004 to make way for Progress M-49. Following undocking, it remained in orbit for ten days, conducting tests of its attitude control system. 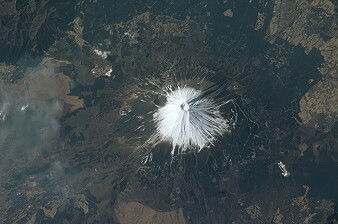 It was deorbited at 09:50 UTC on June 03, 2004. The spacecraft burned up in the atmosphere over the Pacific Ocean, with any remaining debris landing in the ocean at around 10:36:25 UTC. 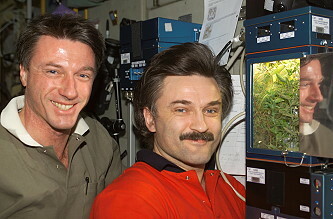 The only EVA in this expedition was performed by Michael Foale and Aleksandr Kaleri on February 26, 2004 (3h 56m) to install new experiments and replace and remove parts for existing experiments on the exterior of the ISS. 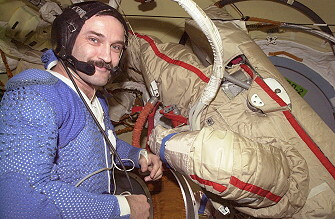 The EVA was shorted due of cooling problems with Aleksandr Kaleri's space suit. 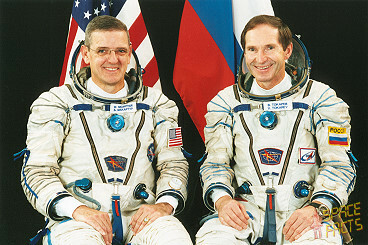 Michael Foale and Aleksandr Kaleri were able to complete a number of their tasks. The first task was the replacement of cassette containers that hold sample materials for an experiment studying the effect of long-duration exposure to the microgravity environment. 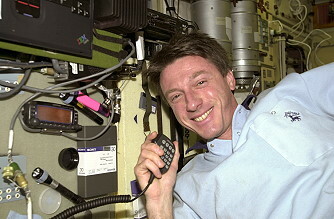 Later, Michael Foale replaced two similar cassettes housed on the outside of the Zvezda Service Module. 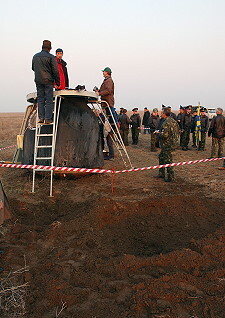 A Russian experiment named Matryoshka was attached to the outer hull of Zvezda which will provide data on radiation exposure to the human body during space flight. The spacewalkers also removed one of the suitcase-sized devices associated with the Japanese Aerospace Exploration Agency's MPAC-SEEDS experiment. They relocated a second device. 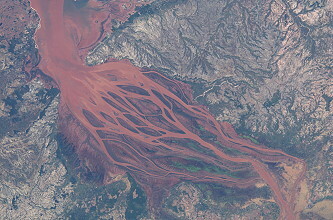 This experiment was studying micro-meteor impacts and material exposure in the space environment. This experiment was installed on the ISS by Expedition 3 spacewalkers October 15, 2001. The crew was not able to complete the removal of laser light retroreflector devices from the aft end of Zvezda. The reflectors were being studied as navigation devices for the European Space Agency's Automated Transfer Vehicle, which first flew to the ISS in 2008. Another task not included was work on a materials science experiment called Kromka. This experiment measured the amount of residue emitted from Zvezda's jet thruster firings. The crew conducted the first two-person spacewalk at the International Space Station. Unlike previous spacewalks conducted by ISS crews, there was not a crewmember inside the Station as the spacewalkers worked outside. The spacewalk was based out of the Pirs docking compartment. The spacewalkers wore Russian Orlan space suits. Among other repair work the crew later repaired successful a treadmill and an oxygen producing Elektron unit aboard the ISS. 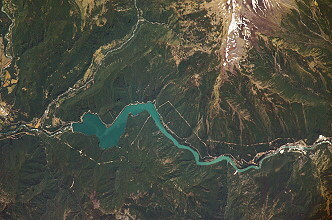 The crew also performed all in all 27 experiments on different scientific fields. Advanced Diagnostic Ultrasound in Microgravity (ADUM): The Advanced Diagnostic Ultrasound in Microgravity (ADUM) experiment involves crewmembers conducting ultrasound exams on one another to determine the accuracy of ultrasound use to diagnose certain types of on-orbit injuries and illnesses, as well as to assess the feasibility of ultrasound for monitoring in-flight bone alterations. Eye Tracking Device (ETD): The Eye Tracking Device (ETD) will determine the influence of prolonged microgravity and the accompanying vestibular (inner ear) adaptation on the orientation of Listing's Plane (a coordinate framework, which is used to define the movement of the eyes in the head). International Caenorhabditis elegans Experiment First Flight-Aging (ICE-First-Aging): International Caenorhabditis elegans Experiment - First - Aging (ICE-First-Aging) performs an analysis of the aging related protein aggregation and the effects of aging in muscle cells. C. elegans (nematode worms) are relatively simple organisms that are used as a model for a wide variety of biological processes. The ICE-First investigation is a collaborative effort conducted by scientists from several countries which have the opportunity to work as a team to design related experiments that would produce valuable results for scientists across multiple disciplines. In Space Soldering Investigation (ISSI): Without gravity, gas bubbles form pores in a soldering joint can reduce its strength. In this experiment, astronauts solder different sets of materials (small wires wrapped with solder in different configurations) while taking video images. By looking at the soldering process and microscopically examining the different samples, it will be possible to determine better methods for soldering in space. Miscible Fluids in Microgravity (MFMG): Honey and water are miscible fluids, that it, fluids that dissolve comletely in each other. Water will be injected into honey to test if it will act like an immiscible fluid, such as water being injected into oil, and spontaneously form a spherical drop. The experiment needs to be performed in weightlessness. Motion Perception: Vestibular Adaptation to G-Transitions (MOP): Motion Perception: Vestibular Adaptation to G-Transitions (MOP) will provide insight in the process of vestibular adaptation to a gravity transition. Adaptation will be assessed by rating motion perception as a result of body movements. MOP will also correlate susceptibility to space adaptation syndrome (SAS) with susceptibility to sickness induced by centrifugation (SIC). The experimental results will allow the team to establish the time course of the adaptation process and thereby set a further step in the determination of key parameters in vestibular adaptation. Vegatative (Autonomic) Regulation of the Cardio-Respiratory System of Humans in Conditions of Weightlessness (Puls (Pulse)): MBI-9 (Pulse) is a cardiological assessment which collects data on arterial blood pressure and an electrocardiogram is performed to better understand the effects of weightlessness on the human cardiorespiratory system. Yeast-Group Activation Packs (Yeast-GAP): Yeast-GAP studies the effects of genetic changes of yeast cells exposed to the space environment. The results will help scientists to understand how cells respond to radiation and microgravity, will impact the determination of health remedies and will increase the basic understanding of cell biology. On April 21, 2004 Russian spacecraft Soyuz TMA-4 brought the Expedition 9 to the station. 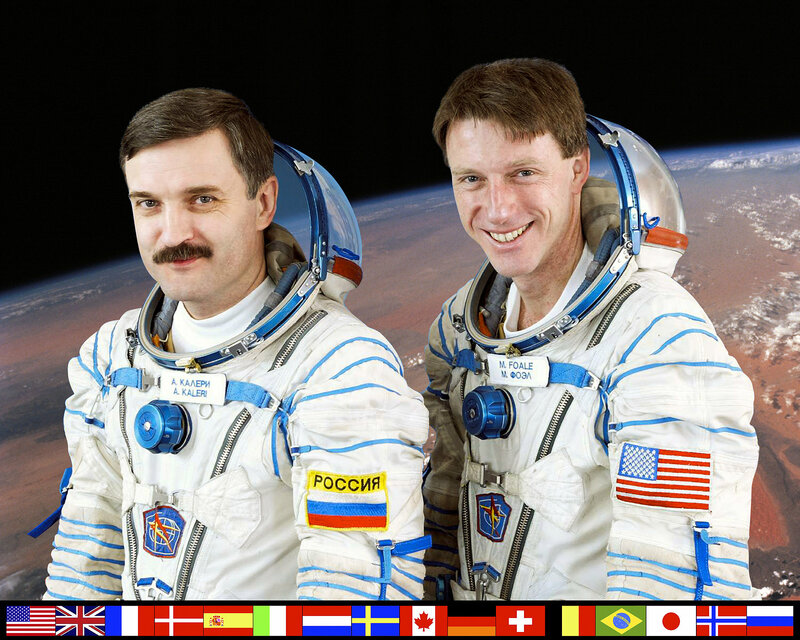 Finally the station command changed from US astronaut Michael Foale to Russian cosmonaut Gennadi Padalka. Expedition 8 offically ended with undocking of Soyuz TMA-3, carrying Michael Foale and Aleksandr Kaleri, on April 29, 2004 at 20:52:09 UTC.